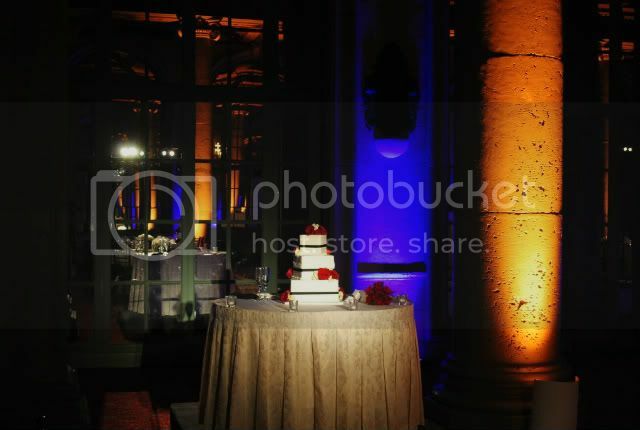 Pin Spot Lighting is a simple way to highlight all of the details and decor at your wedding with a big pay off. 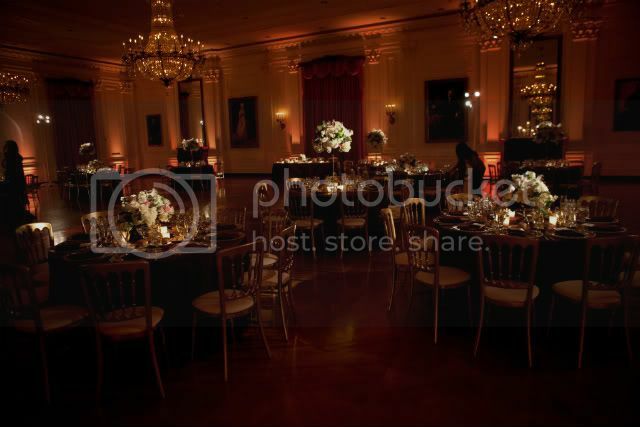 They provide so much value in enhancing your pictures and we guarantee if you ask any floral designer or photographer their opinion they will absolutely recommend this type of lighting for your reception. We spoke with Shelby of Green Leaf Designs who told us "I love it when couples do pin spotting. 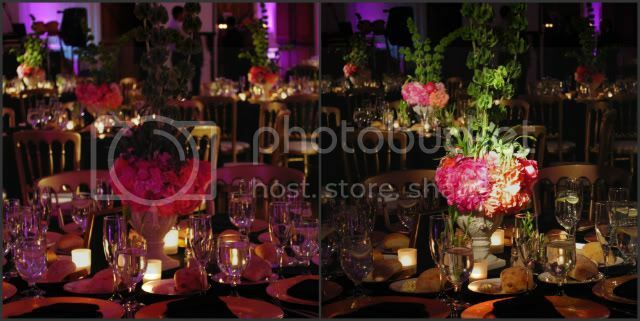 Not only does it bring attention to your centerpiece, it adds ambiance and sets your wedding apart from others." Elevated Pulse always recommends pin spots to clients, especially if you are spending a good amount of your budget on flowers and centerpiece design, along with your cake or sweets table. They are called "pin" spot lights because of their small size and ability to accurately provide light on even the smallest details. They are usually mounted on a pipe and base structure and can be dimmed to ensure none of your guests are blinded when sitting at their tables. A quality lighting company, like Elevated Pulse, will always stay at the event long enough to check the accuracy and brightness of the pin spots once your guests have been seated. Jen from Jen K Floral Design says "I wish all brides would get at least one pin spot per table because 'WOW' it looks like you've spent 3x as much on flowers than before they were added. A must have staple is pin spots on your centerpiece and cake table." When you start to combine pin spot lighting with any other decor lighting you create that "Wow" factor at your wedding that you and your guests are sure to remember! 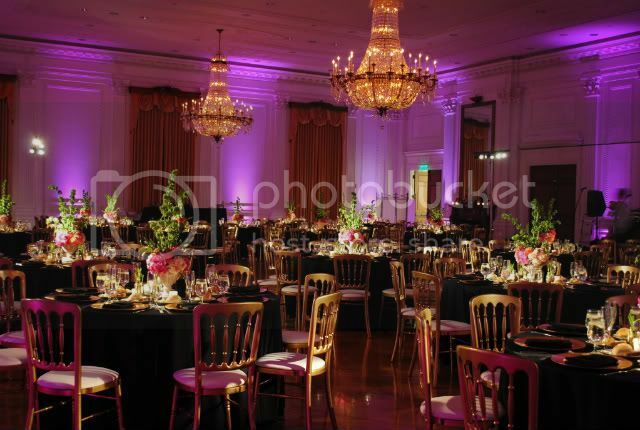 Contact Elevated Pulse to speak with one of our lighting experts about your wedding reception.